Santilli & Thomson provided financial consulting to First Philadelphia Preparatory Charter School and Tacony Academy Charter School to guide our clients through the bond issuance process and the construction of new buildings. 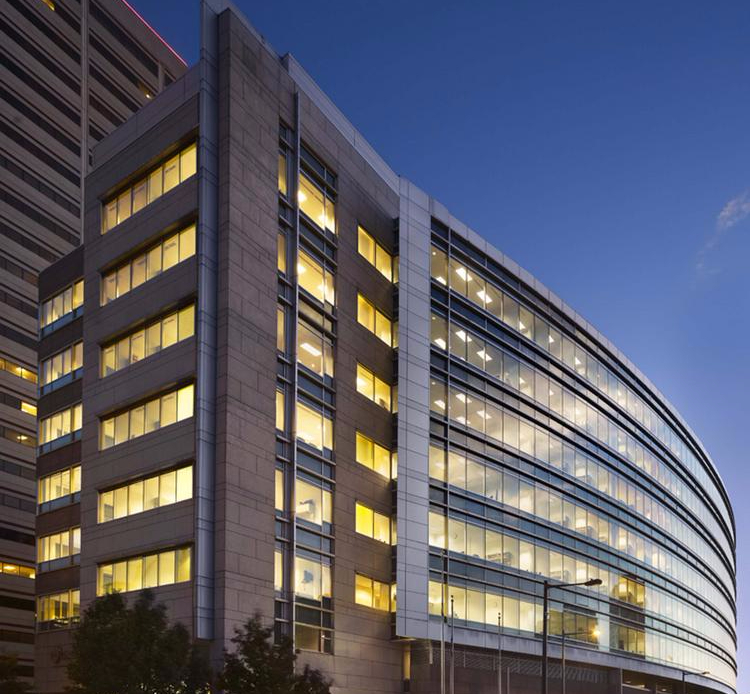 Santilli & Thomson provided financial consulting to Philadelphia Performing Arts and DeMedici Corporation II, an affiliate, to guide our client through the bond issuance process and the purchase of Three Franklin Plaza in Center City, an eight-story 226,890-square-foot office building at 1600 Vine St.
S&T client schools educate close to 30% of charter students in Philadelphia; number almost equal to 7th largest school district in the state. Many High School students dream of not having to be in a traditional classroom setting to learn. Students from Charter High School for Architecture & Designs (CHAD) are doing just that…learning physics while building a boat. Independence Seaport Museum has teamed up with CHAD for the STEM (Science, Technology, Engineering and Mathematics) Project. The program allows students to visit the Museum twice a week, and gives students hands on experience to help them with their future career paths. Santilli & Thomson helped to transform Port Richmond’s John Paul Jones Middle School from a dilapidated school building into a sparkling new learning environment called Memphis Street Academy Charter School, featured on the Today Show. 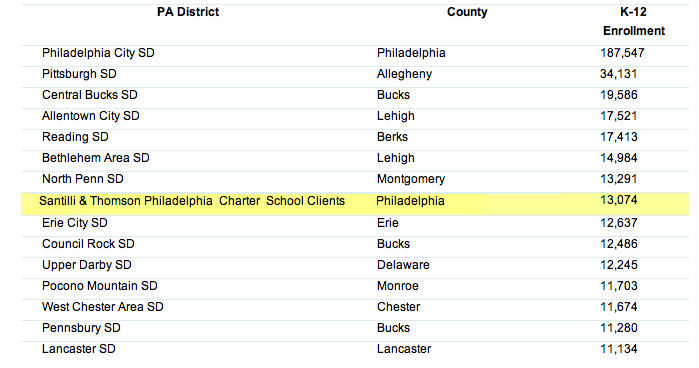 Philadelphia Performing Arts Charter School, a Santilli & Thomson client since 2004, had been named a 2013 Apple Distinguished School. The Apple Education Recognition Program recognizes outstanding schools and programs that are centers of innovation, leadership, and educational excellence, and demonstrate Apple’s vision of exemplary learning environments. The school employs a STEM+Arts curriculum model. The school is managed by String Theory Schools, which also is a Santilli & Thomson client. String Theory Schools - Fully Arts and Fully Science from String Theory Schools on Vimeo. Standard & Poor’s Ratings Services has assigned its investment-grade ’BBB-’ long-term rating to Charter High School for Architecture + Design (CHAD) PA’s series 2013 charter school revenue bonds, issued for The Designing Futures Foundation (Foundation) by the Philadelphia Authority for Industrial Development. 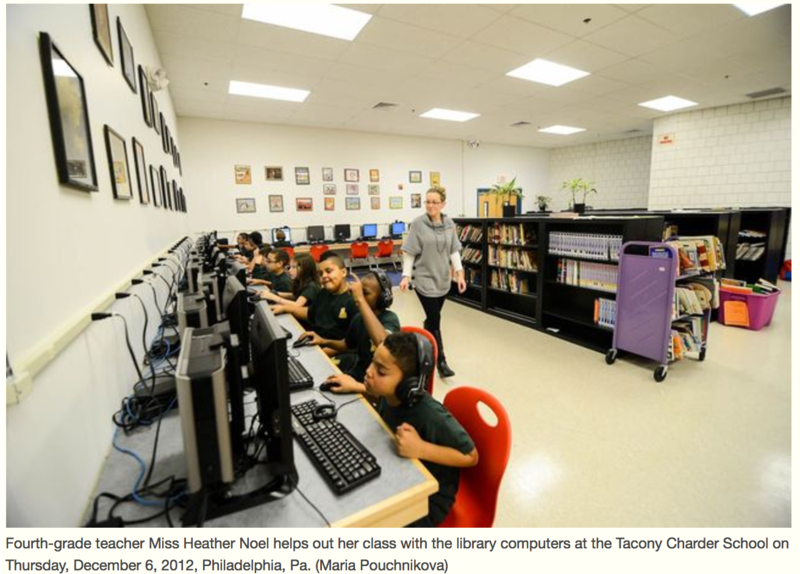 Four years after its opening, Tacony Academy Charter School has found a permanent building. Tacony Academy Charter School opened in September 2009, but officials were forced to move into what they thought would be a temporary location in Rhawnhurst.